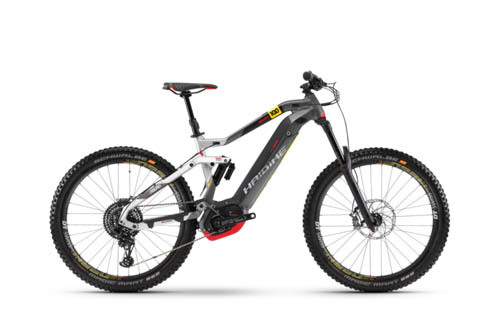 These are mountain bikes for the most demanding offroad riding, employing frame geometry to handle fast, high-speed descents and full suspension with up to 200mm of travel. Specific bikes for downhill, enduro, and all-mountain riding are now as fun to ride uphill as down with mid-drive systems from Yamaha and Bosch. These are mountain bikes for the most demanding offroad riding, employing frame geometry to handle fast, high-speed descents and full suspension with up to 200mm of travel. Specific bikes for downhill, enduro, and all-mountain riding are now as fun to ride uphill as down with mid-drive systems from Yamaha and Bosch. All-day range and plenty of torque, a range of suspension systems, and high-end components throughout make any of these advanced offroad bikes your ticket to new mountain biking adventure. Slack head tube angles provide stability and control at descending speed while long-travel suspension absorbs the big jumps and drops. Fully equipped with features ranging from remote dropper seatposts to oversized brake rotors and more, these bikes are your go-to machines for taking on the most technical terrain. Designed as an all-day, all-terrain bike, all-mountain bikes take advantage of a steeper head tube angle than downhill/enduro bikes to give more agile handling in rolling terrain and an advantage in climbing. 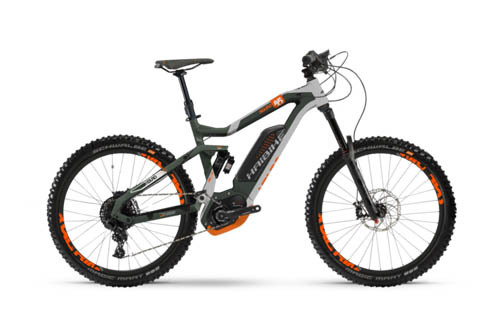 With loads of suspension - up to 150mm (6") of travel - they are also extremely well suited to high speed descents and technically demanding trails.